Coffeeholics UNITE! The Best Spots for Coffee are at Filinvest Alabang! I love to frequent Festival Mall in Alabang, cause it is the perfect place to meet up with my family and friends in the south. The place is pretty much blooming lately, and coffeeholics out to get their caffeine fix amid relaxing conversation with family and friends. 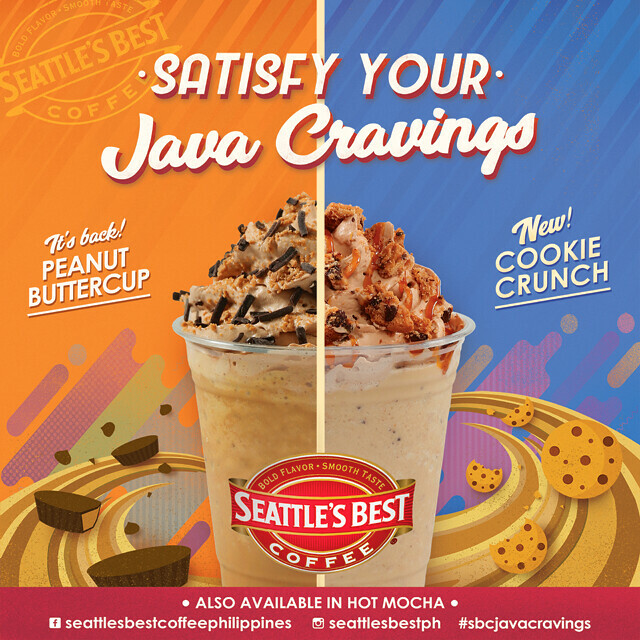 Festival Mall announces to the coffeenation in the South the opening of three new branches of favorite coffee houses: Starbucks, Coffee Bean and Tea Leaf, and Seattle’s Best. “We want Festival Mall to be not only a place to shop, but also to hang out with friends and relax, which for many of us, involves having coffee. With the opening of these new coffee shops, we can envision the mall as a vibrant hang-out spot,” states Rose Nuqui, Vice-President for Marketing, Exhibits and Conventions, and Amusement Centers of Filinvest Alabang. 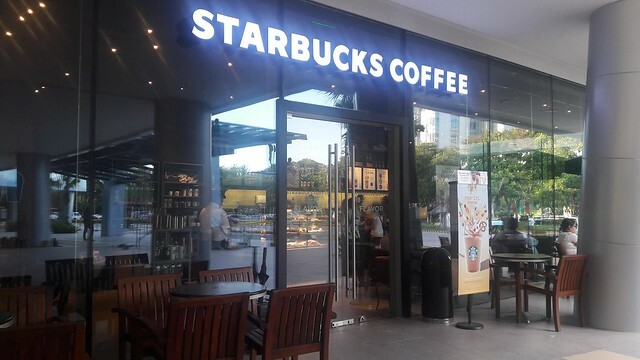 “We look forward to the mall being the place-to-be to not only shop and dine but to really spend time, watch a show, and have a great time with friends or family over coffee.” At the newly opened expansion wing located in front of Asian Hospital and Medical Center is Starbucks. Already the third branch at the mall, the new Starbucks outlet serves up its coffee and tea-based drinks, meals, sandwiches, pastries, and juices in a spacious, airy environment and modern interiors of wood and glass. Coffee lovers can try out Starbuck’s cult favorite Roasted Marshmallow S’mores Frappucino, vanilla-based and layered with marshmallow whipped cream, chocolate sauce, and a graham cracker crumble. Meanwhile, the Pop’Zel Coffee Frappucino is a taste of childhood with a coffee base and popcorn and pretzel syrup, and then topped with pretzel and popcorn bits. The new Starbucks outlet has also tailor-fit their menu for the busy yuppies working in the area. On offer is their Signature Pairings which feature scrumptious meals paired with a tall featured Iced Tea. Diners can choose amongst the Cold Soba with Chicken Pairing, the Chicken Cannelloni Pairing or the Spinach Lasagna pairing. 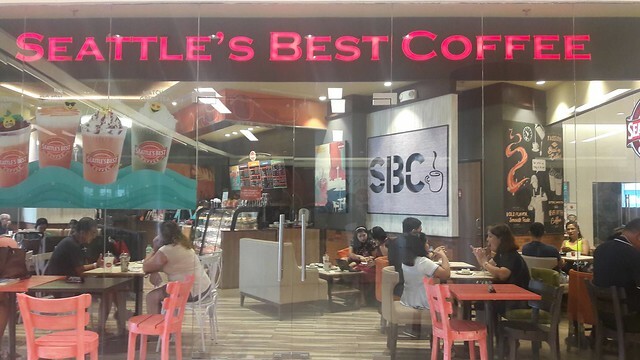 Also at the new expansion wing is CBTL, the first outlet in Fetival Mall which serves up its famous drinks, including favorites such as the tea lattes, and their Original Ice Blended, sandwiches, salads, pastas, cakes, pastries and breakfast items. Favorites include the Moroccan Mint Tea Latte, the Ultimate Mocha Original Ice Blended drink with Chocolate Covered Espresso Beans, the Hot Double Chocolate with marshmallows, the Triple Decker Cheesecake, and the Grilled Chicken Pesto Sandwich. The space is airy and spacious, perfect for hanging up with friends or catching up with reading, either at school or that novel everyone is talking about. Seattle’s Best Coffee makes mallgoers at the Water Gardens area stop and smell the coffee. Water Gardens is the newest dining cluster at Festival Mall. The second Seattle’s Best at the mall, the cozy spot has an outdoor area amid lush greens and the sound of water from the cluster’s gardens. SBC offers its limited edition Javakulas. Coffee lovers can choose amongst refreshing Peanut Buttercup, indulgent Cookie Crunch, chocolaty Java Chip, and delectable Matcha Green Tea. Seattle’s Best also offers its classic favorites such as its breakfast sets, pastas, salads, sandwiches, mochas, and teas. Festival Mall is a Filinvest Lifemall. It is the center of attraction within Filinvest City and is considered the heart of the city. The Filinvest Mall Group is also ensuring that its upcoming mall developments in other locations such as Il Corso in City de Mare, SRP Cebu, Main Square in Bacoor, Cavite, FORA in Tagaytay among others will constantly resonate the same value of a Filinvest Lifemall. And as its new branding and tagline goes, “It’s where the City’s heart beats”. It is a premier development in Filinvest City, Alabang, Muntinlupa City. It is the only mall with five anchor stores: Shopwise Supercenter, SaveMore, Robinsons Department Store, Ace Hardware and Handyman. It has over 700 shops, a total of 3,600 multilevel parking slots, various food outlets, and indoor amusement rides. Ahh I miss the south! Im a forever south girl. And I saw the huge CBTL from outside of the premises haha. The last time I went there a few weeks back I felt nostalgia! Haha a lot has changed and since I moved to a different city when I got married. But with the changes in "Festi" happening recently, you bet am gonna visit one of these weekends! I was thinking if I will see a different set of coffee shops. Same name means that they are really big in the industry. I kinda wish there are more local coffee shops. Lately, I think I'm being makabayan' by supporting all locals and products that are self-made here in our country. expected to find a list of new underdogs actually, although i'm not at all familiar with seattle's. they're not available here in Singapore as of now. But i have to say, starbucks is pretty bad. :( i used to love them before i switched to a no refined sugar diet. and I found out that there's too much refined sugars and syrup flavourings in their coffees, which is what made them "good". had a no sugar added, skinny hot latte from them once and I never return to starbucks after that.